bolster his ego. His anxiety subsides. His inhuman void spreads monstrously like a gray vegetation. 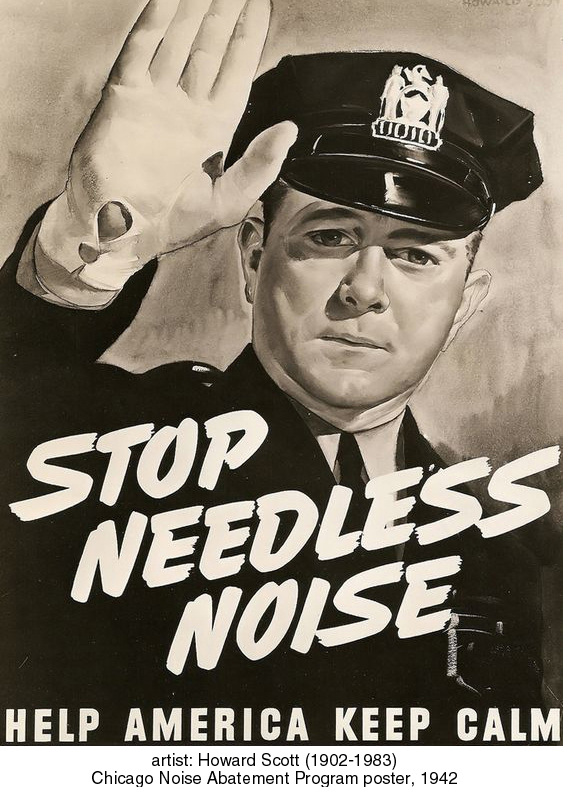 America is the noisiest country that ever existed. One is waked up in the morning, not by the singing of the nightingale, but by the steam whistle. It is surprising that the sound practical sense of the Americans does not reduce this intolerable noise. Noise is a pollutant. It degrades our environment and our lives in the same way that air and water pollution, food contamination and urban congestion do. I believe we need to limit unnatural noise around us in the same way we have been reducing smog and river waste and other harmful products of our oversized society. A positive way to look at what we need is this: we need to develop a new, pervasive notion of the importance of "quality of life" in our society. Similar to the now-fashionable notion of the importance of "going green", we need to give the relatively small components of a high-quality daily existence much more attention than they now get. We all know the big-ticket items: safety, roads, national defense, education, and, in recent years, air and water quality and attention to global warming. Many other, smaller, issues also affect our daily lives, such as litter, traffic flow, landscaping, quantity of outdoor advertising, parks and other public spaces, and, yes, noise. Communities that pay attention to these types of issues are better places to live, and are probably less prone to violence, crime, and many other social problems. How did the problem arise? 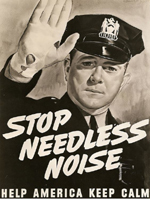 radios used in public, amplified speech, cell telephone usage and similar sources of noise are partly the result of personal arrogance and the fact that much of our society lacks a concept of "shared community"
suggested Google search: "evidence that noise is bad for people"